As it does every couple of years, China has invited media professionals from across the Pacific islands to pay a two-week visit to their country. Part junket, part professional development exercise, the tour is clearly designed to soften views concerning China and its engagement with the rest of the world. And in important ways, it’s working. Only one of the Pacific islanders has visited China before, but the first days in Beijing offer some predictable experiences. In almost comical irony, no photos are allowed at the entrance to the Xinhua News Agency building. One photographer is politely but firmly asked to delete two shots he’s already taken. Asked why, a minder simply laughs, apparently in appreciation of the absurdity. He says, “I don’t know,” in a tone suggesting that there’s no point in him inquiring. But the number of unexpected events is, well, surprising. The delegation is met by senior officials within the Foreign Affairs and Commerce Ministries, and though it’s nearly impossible to judge progress from a single meeting, delegation members were left with the impression that they were being taken seriously. Even if taken only as a matter of protocol, the level of official engagement is far higher than seen in visits to western nations. Then again, the respective roles of media and government are far more closely aligned in China than elsewhere. It could just be the done thing. Nonetheless, it was refreshing to have a serious discussion about Chinese lending and commercial activity in the Pacific with people in a position to speak with authority. There are still signs that a western journalist would find odd… and worrisome. China’s media is still state-controlled. And media professionals here offer no apologies for that. They appear nonetheless to be intent on making the most of what they’ve got. 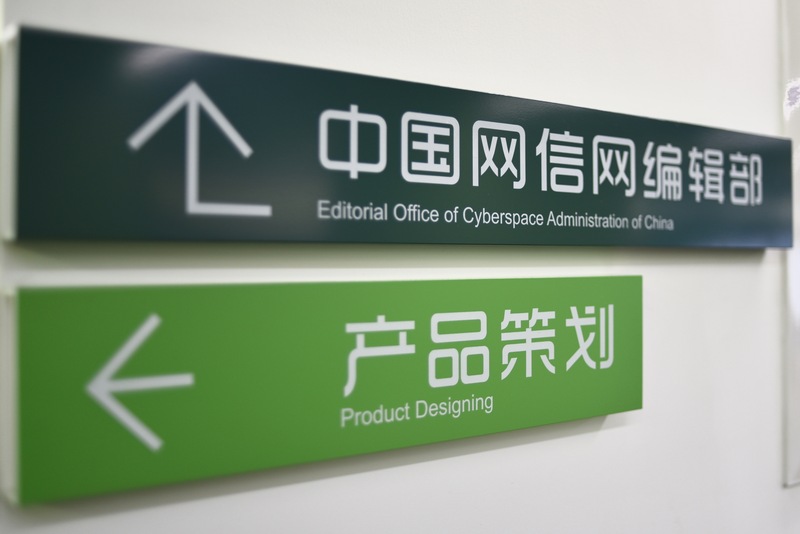 The newspaper maintains a constant Twitter and Facebook presence as well, in spite of the fact that access to either service is spotty at best within China’s borders. Viewed skeptically, it could be said China is taking a softer and more nuanced line in its propaganda efforts. More generously, one could conclude that they’ve realised that the rise of information flow in the digital age is an unavoidable—and mostly desirable—phenomenon. The issue for them seems not to be how to hold back the tide, but how to keep the river from overrunning its banks. A senior Information Ministry official lunches with the delegation. He explains how things have changed, “Just to be clear: we don’t spy,” he says with a conspiratorial chuckle. With disarming candour, he disavows chapter and verse of Maoist doctrine and, although he insists he’s still a Party member and sympathetic to Marx in many ways, he makes it clear that the principle of media freedom and access to information for all is fundamentally a desirable one. The challenge, he says, is to avoid another movement that spirals out of control the way the Cultural Revolution did. He speaks about Tiananmen without euphemising, and says with evident sincerity that the danger wasn’t from the students, but from opportunists turning the affair into violent revolution. This is a common sentiment, expressed by many officials. How high into the pantheon of the Chinese leadership this feeling extends is unknown. But it is clear that at least some are legitimately seeking to reach out. They don’t try to justify the state of media in China today, but they fervently defend the path they’re on. They are open to opening up. Carefully and deliberately. How far they will open remains to the be seen. Citizen journalism, crowd-sourcing and data journalism are still either anathema or very much in their nascent stages. Even the relatively liberal-minded Global Times will accept photos only from less than half a dozen official sources. Freelance work that hasn’t been picked up on other wire services doesn’t get a second glance at the editorial meetings. And the outward-looking face of China still looks vastly different to the one it show its citizens. The Global Times English edition is twice the size of the Chinese-language version, and each is directed by a separate editorial team. Story tone and content is often decided centrally, but the composition and layout are performed separately. For Pacific islanders, to be accorded the respect of our professional peers in any other nation is a boon. And to be able, for example, to discuss public and private sector corruption frankly and in detail is a rare opportunity. Some neighbour countries go to great lengths to build and maintain relationships with media in-country. Not all of them are so solicitous in their own home. So far, the emphasis of this two-week schmooze has been to convince the Pacific to engage and build understanding with China, rather than to emulate it. And the common Chinese tendency to emphasise personal relationships over systemic ones resonates well with delegation members. While they spend far less than some donors on media engagement, the Chinese government seems to be getting a lot of bang for their buck. The tour continues for another week.